Place crush garlic in your pressure cooker and cook with 2 T. of the crushed tomatoes on your saute/brown feature for one minute. Add all of the ingredients EXCEPT the pasta and parmesan. Stir all ingredients together well. It may not seem "saucy" enough, but it will create the most delicious sauce! Secure the top on your pressure cooker and cook for 6 minutes with quick release. Cook pasta according to package directions, strain and set aside so steam evaporates. Taste and add additional salt/pepper to the sauce if desired. The sauce can sit on warm for as long as you need it to, or serve it right away. 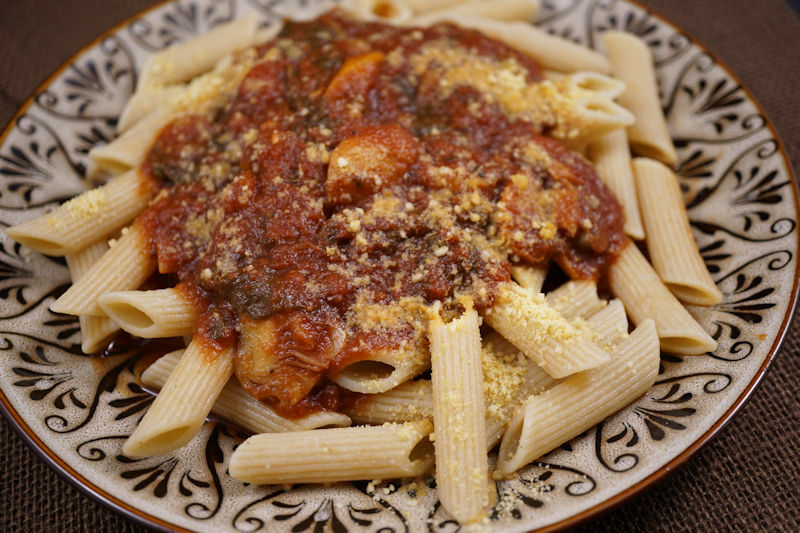 Serve over whole grain pasta with vegan parmesan cheese. I have had the same issues. I just don't bother anymore.